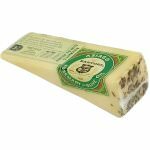 This small 10 oz. 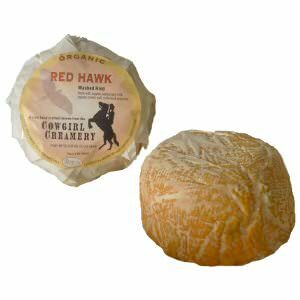 Cowgirl Creamery triple-cream, washed-rind cheese is called Red Hawk, named after a raptor that circles the skies in northern Marin County where this gourmet cheese is made. 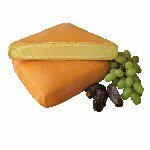 Red Hawk is made with organic cow's milk, aged for 4 weeks and washed with a brine solution; the result is a stinky, sticky red-orange cheese with a full flavor. 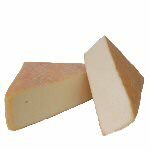 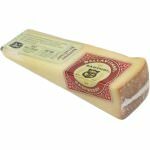 Red Hawk won a 2nd Place Ribbon in 2007 in the Washed Rind Cheeses Category and a second place of all categories in 2009 at the American Cheese Society Competition. 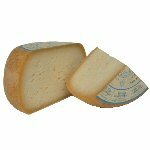 Ingredients: Organic pasteurized milk, organic cream, salt, cultures, enzymes.